As part of the spate of bilateral cultural property MOU renewals, the latest is Guatemala (Rick St Hilaire: 'CPIA Cultural Property MoU with Guatemala Renewed and Expanded', 30th Sept 2012). What happens when they are no longer renewed? Do items traded in the US not in accordance with the principles of the 1970 UNESCO Convention on the on the Means of Prohibiting and Preventing the Illicit Import, Export and Transfer of Ownership of Cultural Property (with its Art. 3) suddenly become licit again in the US - even though it is a state party of the Convention? What is the point of that? A metal detectorist in a comment to an earlier blog post of mine this afternoon admits that the dark gundgy appearance of the artefacts in his videos was due to his use of OLIVE OIL to "preserve" the corroded metal. Now I think we are all aware of the use of olive oil to preserve herbs, cheese, olives, pickled garlic and other foodstuffs, but archaeological artefacts? I would have thought it pretty obvious this is no way to treat an ancient artefact of any kind, let alone anything recovered from the soil. As any health food buff will know (and anybody else can easily find out), olive oil contains a lot of free fatty acids and polyphenols. These are not good things for soaking ancient corroded metal objects in - especially as they themselves can break down in contact with the metal corrosion products. I am at a loss to think where this idea came from. While it is true that soaking in olive oil ifs one of the methods used to strip thick corrosion from cruddy coins by so-called "coin zappers", that term alone should give an indication of the relationship of the techniques used by these people in relation to real archaeological conservation. As I said, it is a method used by them (alongside other even more chemically violent methods) to strip corroded metal out, not preserve it. One metal detecting site gives an "Introduction to Coin Cleaning (advanced)"
There are many recommendations for coin cleaning that entail soaking in oil. This is risky business, and may introduce chemicals to the metal that are not good for it. Soaking in oil will not accomplish anything that soaking in water does not, and it adds the problem of removing the oil if that becomes necessary during further steps of restoration. Oils can sometimes be removed with detergents, but again, that means more chemicals to upset what has become, over 2000 or so years, a rather tenuous chemical balance. It is our suggestion that water be used in lieu of oil, and that you preclude all use of any oils in treating your coins except perhaps for some very esoteric circumstances during the finishing process. Olive oil in particular is extremely acidic, and etches ancient bronze destructively. "Don't use domestic waxes, oils, petroleum jelly or shoe-polish they all contain potentially harmful contaminants"
The problem here is that artefact hunters often have not the training and knowledge to properly curate the elements of the archaeological resource that fall into their hands, and even when such information is made available (in "partnership"), there will always be a whole mass of artefact hunters who are either not going to look for such information, or if they find it will ignore it. Collectors are always complaining about museums that store artefacts that could be sold on the open market for them to collect. They argue that countries with museums full of artefacts should slim their collections down and share items with private collectors. Already the UK has made great concessions to artefact collectors, it now seems this "partnership" is about to enter a new stage. In order to provide "heritage for all", the London Borough of Barnet for example is closing down two museums and next months plans to hold a jumbo jumble sale of the exhibits to spread them more widely in the community. Now, if you are a collector, you will approve this move. If however you belong to the other 99.7% of society (and particularly if you live in North London), you might wish to read the Heritage Action post on the topic and add your name to the petition to protest the Council's Philistinism. Heritage Action, 'Museum Closure: three approaches – good, fair and dreadful' 30/09/2012. EES webinar AUTUMN 2012 The Good, The Bad & The Ugly: Cultural Property and the antiquities trade in Egyptology (sic) Saturday 29 September 2012, 1 pm. examine how academics, museums, and the legal antiquities trade interact, and can facilitate the study of objects which pass into private hands; the importance of provenance in preventing the sale of forged and looted antiquities, and the processes of diligence and compliance which reinforce this. The discussion will cover case studies of good and bad practice, successes and failures, and discuss ways in which more productive relationships might be fostered in future. The discussion will exclude issues of the ethics of trading antiquities and the looting of archaeological sites [...]. Keith Amery (PhD student of cultural property and antiquity law, but also a collector). Mr Avery replaced at short notice Prof. David Gill who apparently had to cancel at the last moment. The four panellists first gave presentations and then answered and discussed questions sent by viewers. The first section is mostly intact and can be found here: http://www.ustream.tv/recorded/25787312 (starts properly at 03:30 mins). Please take the time to watch it and think over the issues raised. I give below (and in the next couple of posts) my comments on what I saw. It seems to me that not all of the preliminary aims were fulfilled. The emphasis was on collaboration of the academic and museum communities with the legal trade rather the discussions of what to do about the dodgier side of trade. So right from the beginning the webinar immediately is on the footing that the only trade that "matters" is the "legal trade", and the fact that large parts of the commerce consists of artefacts of unknown provenance and conducted by people and for people who could not give a tinker's where the things come from is carefully avoided. the keynote seems to be that "at present there is a great deal of mistrust and negativity which [...] simply engender a more polarised position and even greater suspicion". So the whole tenor of the meeting seemed to be that one "can trust" the antiquities market and we should all work together as one big happy family tra-la-la-la-la. That would be fine if the whole market was indeed as depicted in this cosy meeting. But - in the interests of truth and getting a more realistic perspective - it has to be pointed out in the face of precisely this kind of fluffy-bunny-friends propaganda that it is not. It is precisely in exposing what areas of the market and the field of portable antiquities collecting and in what ways they depart from the idealised picture that lies the only hope of actually doing something about it. Sweeping the issues under the carpet (calling realism "negativity" and asking awkward questions "trolling") is not going to lead to the will to effect or impose change. Let's call a spade a spade and not pretend it is a silver cake slice. To start the proceedings we had the presentation, representing the "trade", of the lady from Bonham's. The whole picture of the "trade" presented in this session was thus that of the big London auction houses, ignoring the fact that the vast majority of ancient dugup artefacts coming from Egypt (the focus of the meeting after all) are sold elsewhere and by other means. Basically Ms Perridge comes out with the same idealistic clichés about the trade that anyone who'd listened to them talking about what they do would expect to hear from an antiquity dealer. There were no surprises here. It was Ms Perridge who talked first of the "great deal of mistrust and negativity" which surrounds the antiquities trade. And of course, the Bonhams lady goes on to give "an example of what can result..." if such negativity about bad practice is suspended. Guess what it was? Yes (how could it be otherwise? ), The Portable Antiquities Scheme (00.08:44). She says the Scheme is "beneficial". She does not specify in what way - the viewer is presumed to know - and there is a vague mention of "saving the Staffordshire Hoard for the nation". As a trader she should have mentioned the Crosby Garrett Helmet, which would make the point that what "saved the Staffordshire hoard for the nation" was the Treasure Act NOT the Portable Antiquities Scheme (and of course the Treasure Act did not "save" the Crosby Garrett helmet for the nation, it slipped away into the shadows of the anonymous private collection). This is precisely the kind of fluffy thinking engendered by the PAS which causes so much damage to even the academic debate about (the digging up of) so-called portable antiquities for commerce and collection. So of course the lady blunders on to say that the PAS makes us think it would be "beneficial" (to whom?) to introduce a PAS type system "in other countries" and "maybe antiquities as a whole". So what is stopping other countries, like the USA for example, adopting a PAS type system to allow the recording of what artefact hunters are taking from the ground? Or Egypt? A voluntary recording scheme where the man who stumbles upon a tomb as he's digging holes in the desert, or the person tunnelling under his house can report what he's found and hang on to the artefacts to do with as he wants? How does Madeleine Perridge (looking beyond the narrow artefact-centred view) consider that would "preserve" the heritage? What benefits (except for the auction houses) would that bring and would they offset the losses? Ms Perridge mentions as one of the "benefits" that a system like the British would allow "more generic" archaeological material, not of interest to museums dug up by artefact hunters to enter the market - rather than remain in the archaeological record as a resource for the study of the past by future generations. Profit from it now is apparently her credo. It's a win-win situation she argues, museums win, they get goodies to buy (if they can find the money), if they cannot then private collectors win, and whatever happens, those who dug the stuff up go laughing to the bank. The only loser is the integrity of the archaeological record, badly enough compromised as it already is. But Ms Perridge does not mention that, because discussing the effects of the current form of the antiquities trade would introduce "negativity" into these young folks' discussion of a bright future for the antiquities trade. [00:11:04] "However I would argue that some of the current approaches by certain factions [glances towards where David Gill would have been sitting if he'd been able to attend?] in the academic world are not perhaps conducive [sarcastic tone, raising smirks from three panellists] to productive discussion and in fact [joy in voice now] have the reverse effect". She suggests "we" (who?) should be giving more support to help countries stop looting instead of trying to effect the "repatriation" of material already on the market. I guess that is her "positive approach". This of course ignores totally the point is that "repatriation" is not the issue, but investigating the crime that led to the artefacts concerned surfacing on the market. That - if done properly and with resolve - will lead to curtailing the smuggling which should have its effect on the looting. Again, the emphasis in the dealer's contribution to the debate is on "source countries" providing the trade with a catalogue of missing items so they can quickly do a "negative validation" ("not on the list, it's OK then") rather than the trade refusing to deal with artefacts to which the vendor can offer a positive validation. Of course clandestinely excavated and smuggled objects will never be on any nation's "lost artefacts" list. They usually only "surface" (from "underground") when they are already in the market countries. [I wonder how many times this has to be pointed out before representatives of the trade take the idea on board?]. Again the antiquities trade is passing the buck for what itself has to take the responsibility for, instead they are expecting "the Other" to do all the work to make the life of the dealer in portable antiquities easy, rather than expending any real effort to do anything to tighten up their side of the operation. But pointing that out I am sure the panel would say is "being negative". Ms Perridge also mentions the "1970 cutoff date" issue and so-called "orphan items". She then mentions the CPRI "orphan objects" study... This dealer argues that those of them included in auction catalogues are thereby "in the public record" and academics have "had plenty of time" to "assess their status" (implying that, if "they" have not done something about that up to now, why should they complain when the items come on the market again? - I really wish Professor Gill had been there to answer that). After a bit more of the same sort of stuff she ends up by urging closer collaboration between academics and museums with collectors and dealers [her bit ends 00:25:50]. One thing that came out of what she was saying was how reliant the London auction houses are on having access to knowledgeable experts from the academic world to help in attribution and authentication of objects in the trade. Marcel Marée then spoke [00:26:11]. Basically he repeated much the same sentiments, down to plugging the BM's Portable Antiquities Scheme as a way forward for Egyptian antiquities on the market. The man from the BM's rather strange delivery distracts attention a little from what he is saying. First of all, why does Marcel Marée think some dealers are NOT "openly publicising" what they have in their stocks, and the buyer can only see it [00:28:47] when they personally visit the premises and certain items they might be interested in are brought out from under the counter? Is it because they cannot be bothered to advertise, or they are really unaware of what the object they've bought from somebody else is - or are there other reasons? The session's intent to skip over such issues leaves this question unasked, and thus unanswered, which is a shame as it is not insignificant in the context of what he then goes on to postulate. Again it is a shame that Professor Gill was not there to pull him up on that. The Man from the BM suggests that dealers should be registered, and a proviso of their licence should be that they work with an official scheme to document all that passes through their hands. He suggests in effect that there should be a PAS-type organization set up (by whom, and would it be funded by the public?) for items in dealer's stocks, and that an FLO will be contacted by a dealer with something to show ["just as people who find metal objects in the ground are supposed to report things..." - is he too confusing his own Museum's PAS with the Treasure Act?]. Or this "appointed" FLO will come and visit the collector in his shop and examine what's under the counter and in the back room and "advise" the dealer on what he's got. Can you imagine that? I would guess that M. Marée does not spend much time on the forums where a somewhat different class of dealer than the sweet idealistic ("let's all be friends") lady from Bonhams hang out. The chairman suggests that in all this, "as long as the information is out there, that's the most important thing". Well, is it? It may well be in the case of a Grand Tour item or something brought back by a tourist in the 1930s, it certainly is not in the case of freshly smuggled items appearing on the market with no provenance masquerading as/assumed to be the latter. This seems to be the question being dodged here totally. In the discussion following his presentation, Marée actually suggests that items surfacing without any provenance can in some way have one "reconstructed" and it is interesting that he sees this as a task for academics working with the dealers. There seems to be the underlying notion in what several people are saying here that the "provenance" of many "orphaned" objects can somehow be "reconstructed" by (academics) "researching" in which auction catalogues an item figures. It seems to me that this comes a poor second to actually retaining a proper record of an item's collecting history, but that is by-the-by. How does it apply to material which may not appear in (or be illustrated in) an old auction catalogue? Some things were sold over the counter by dealers in brick and mortar shops which had no catalogues. Does the glib assurance that lost provenances can somehow be magically restored shelve the issue of the current no-questions-asked market? Heba Abd el-Gawad spoke next [beginning 00:33:53] but I'll start another post (below) for the last two speakers. This follows on from the post above. Keith Amery begins at 00:46:58. It should be noted that he was asked to come along at short notice and warned that he was going to speak without notes (as in fact the previous speaker had done too). "Obviously I am not David Gill as advertised, and our opinions would have been diametrically opposed, so it would have been interesting if we both could have debated this question" [note expression on Ms Perrin's face as he says this]. He starts off by saying how saddened he is that due to the laws in place, in effect Egyptians cannot collect the antiquities of their own past, unless they live abroad and buy from the London or New York market. He says they should enjoy the same (property) "rights" to these antiquities as the UK citizen has (one might ask whether that question could not be reversed - why does the brit think he should have the "right" to something that belongs to another nation?). Dr Amery attempts to present the legal instruments which regulate the antiquities trade in the UK. He suggests that the tripartite division between "source country", "market country" and "transit country" is an unhelpful basis for characterization of the market, with many countries (and he cites the UK as a particular example) falling into all three. He then touches upon the 1970 UNESCO Convention pointing out its full English title (which in fact, speaking off the cuff, he gets wrong) makes it clear that its focus is illicitly traded items, and (although I do not fully agree with everything he says about it) I think he makes one point that is worth highlighting. He suggests that the Convention is there to aid free trade [00:51:30], rather than (as certain factions in the antiquity trade lobby would have it) to hinder it. But he goes on to suggest it is a "bilateral" agreement (this is untrue, it is a multilateral one and its mainly the US which treats it in this manner, but later on in his presentation, it emerges what he wanted to say). Dr Amery he has a typical collector's view of the issue of legislation vesting ownership of archaeological material in the state (I presume he means one which is applicable indiscriminately to all materials not just gold and silver as in the UK). He suggests that such vesting legislation (like in Scotland maybe) somehow "takes away any incentive" from members of the public to "protect the heritage". I presume he thinks that the only way members of the public preserve heritage is by filling their pockets with it. I know a heritage organization or two in the UK that would disagree with that point of view, maybe they'll write to him. He suggests that the 1983 vesting legislation of Egypt has done "nothing" to protect sites and "antiquities". He says before the law was introduced, every minor antiquity found (he omits the question of artefact hunters as collectors like to speak only of [accidental] "finders") was sold to a middleman who'd make sure the object found its way onto the antiquities market and every artefact therefore found a safe "home" somewhere (that is collector-speak for the collectors' market being well-supplied by such material). Now, however - after the 1983 vesting legislation was introduced he says - the law makes such activity illegal and the objects that are found are being... well, what? Since he goes on to say that the law has not stopped the trade in fresh illicit objects, the obvious implication is that (if we do not postulate scarab and shabti fairies and elves to explain the magical disappearance of the one and the appearance of the other) the objects are still going onto the market, and still finding buyers who do not care about the legal situation, let alone the ethics of what they are doing. Oh no, here I am being "negatively" realistic again. Dr Avery disapproves of the "present in a collection outside the source country before 1970" cutoff date for considering licitness of artefacts without any known provenance which he says is being "thrown out by the part of archaeology that vilifies the trade" (actually it comes mostly from the "part of archaeology" that is concerned with running museums, and mostly in the US). As is traditional in such circles, he says disapprovingly that this is a "guilty until proven innocent argument" which he suggests "does not hold water". So basically this means there is nothing wrong with the "no-questions-asked" approach to buying antiquities, by the Innocent until proven guilty argument, any artefact with no documentation of licit origin is automatically considered licit. Dr Avery suggests that this 1970 cutoff date should not apply to artefacts floating round the UK market because (and now we see why he insists that the 1970 Convention is a "bilateral" agreement) the UK did not become a state party until 2002, forty years after the Convention was first written. So he suggests that if an object surfaced on the London market twelve years ago, in 2000, without any provenance whatsoever, it should be regarded as licit as an item which can be verified was in the collection of Rev. Thomas Smallbottom rector of Ambridge in Borsetshire in 1912. When he expands on the point though, one can see that he is confusing what is the ethical view (the US Museums use of 1970) with the legal one, whether deliberately so or not, to fit the format of this trade-friendly webinar, I could not say. There is however a legal grey area in the UK concerning the legality of import of items illegally exported from a country before 2002 (I'd add to judge from the number of items on sale which are apparently dodgy, the grey area in UK extends well beyond that date). Dr Avery says that the number of small objects (I think he means just Egyptian objects) on the market already is "millions". He suggests that efforts need to be expended to select just the "most significant objects" (artefactcentrism-alert) to "protect". He mentions Britain's Waverley Criteria for selection of the most significant items for protection (to which I'd add that in my opinion they maybe OK for oil paintings and Jacobian chairs, but are pretty much rubbish as far as archaeological artefacts are concerned). He suggests that maybe countries like Egypt should apply something like that and let a lot of the "less important" artefacts enter the antiquities market, in other words go back to "partage" so collectors can have them. I think what is particularly notable is that three of the four panellists are basically suggesting that "backward" Egypt have got it all wrong and should scrap their whole antiquities system, buck their ideas up, change their attitudes and should do things the British way. One of them wants to see artefact hunting legalised and mitigated by the introduction of a Portable Antiquities Scheme clone, the next wants a Portable Antiquities Scheme clone to register dealers' stocks and keep UK scholars in touch with the market, while the third reckons Egypt needs selective vesting legislation (or was he advocating scrapping it altogether?) and to apply something like the British Waverley criteria to select a small percentage of "objects" that they were going to "preserve" and flog off the rest. Oh well, the Egypt Exploration Society was founded in the heyday of British imperialism, perhaps it is expecting too much to think they might see this approach as naked cultural imperialism. They claim to be speaking to an international audience, so why were only British models discussed? As I wrote earlier, most of the panel discussion of questions sent in by viewers was not put out online due to technical difficulties, probably no great loss if they were of the type of the first question sent in, "does the panel think that if the legal trade in antiquities was banned, the trade would go underground?". That would have been sent in I guess by a supporter of the PAS and lo and behold, among the platitudes this produced in response we hear that the Bonhams lady thinks the existence of the PAS has in some way reduced the amount of illicitly obtained items on the market. I'd like to ask her how she knows that, what is her source for that. I think one only has to surf certain sites on the Internet to see whole arrays of artefacts with minimal information about collecting history on sale in the UK and I'd like to ask her how she (as a representative of Bonhams) is so sure how many of them are of legal origin and not nighthawked, or otherwise stolen. It seems to me the only way to achieve this feat on the basis of the information offered would be by clairvoyance. The next question was equally unoriginal, "can you archaeologists explain why looting is such a big problem from a academic point of view"? It looked like we were not going to be subjected to too much of the answers of that one. Several very short videos were posted documenting the technical problems they had in running the "webinar". In the end however the EES got the system up and running again for another 68 minutes (http://www.ustream.tv/recorded/25789242). But I'll put off watching that for another time. Finally I wonder to what extent (in that first half) we actually got a proper overview of the "good bad and ugly" of the antiquities trade. Also to what extent did we see any concrete statements about the "cultural property in Egyptology" (whatever that was supposed to mean)? We got a rather object-centred view of the possibilities of working together if we ignore the "negaitive" aspects of the ("Bad and the Ugly" parts of the) antiquities trade. But I wonder to what extent, even if the panellists can, we can in fact just ignore that? Until we address this issue with honesty, anything that is said is just so much hot are and pie-in-the-sky and ultimately meaningless (and at its worst damaging) fluff. In the end however the EES got the system up and running again for another 68 minutes (http://www.ustream.tv/recorded/25789242) and the first question started off being about "context" (and its destruction by looting). To judge from recent news coming out of Egypt (apart from being a tourist magnet), one of the main functions of antiquities in the public perception is as a tool for personal attacks on political enemies, especially members of the former regime. This of course is all the while when real damage is occurring, perhaps some find these disputes useful to distract attention. Sobhy Attiya Younis, Dean of the Faculty of Tourism and Hotels, Mansoura University, was amongst those who accused the former president of gifting away Egypt’s patrimony, the daily reported. “Mubarak and his family gave many genuine relics as gifts. Whenever they expressed admiration for a certain piece, it would disappear from the Egyptian Museum,” Younis told a Shura Council’s committee on Wednesday. Former presidents Gamal Abdul Nasser and Anwar al-Sadat had also given antiquities as gifts to their guests, Younis was quoted as saying. The new Antiquities Minister, Mohammed Ibrahim Ali issued a statement on Friday saying that there is no evidence proving that former Egyptian president Hosni Mubarak has given antiquities from the Egyptian Museum as gifts to visiting dignitaries. "Egypt’s antiquities belong to the people and the ministry is committed to protecting them, Ali said, urging anyone who has evidence on the allegation to report it to the general prosecutor". It is pretty clear to most of us that a sheared off 10th-century Khmer sandstone statue that should be standing outside the Prasat Chen temple complex in Koh Ker (some 60 miles northeast of Angkor Wat) in Cambodia should not be on sale in a New York salesroom for two to three million dollars. It is being sold by some Belgian woman 'Ms. Ruspoli di Poggio Suasa', who bought it in 1976 for $900,000 and now has become bored with it and wants it out of her house. 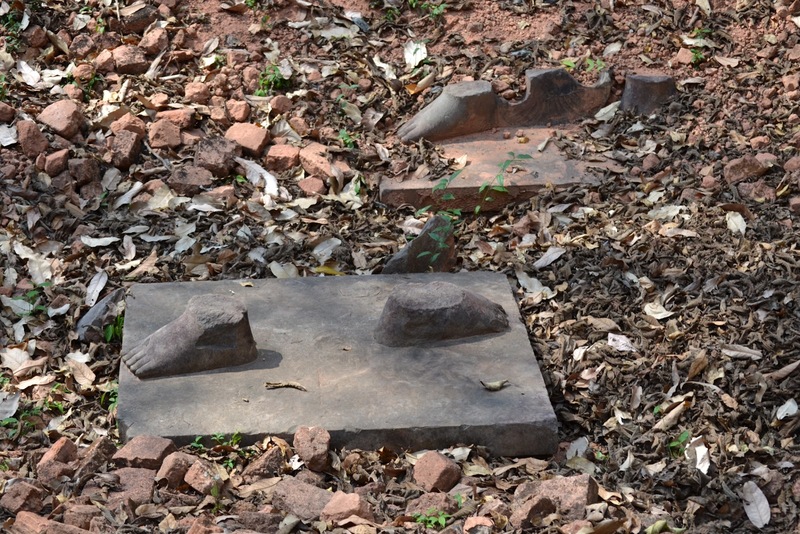 The Cambodian government says the work was looted from the temple complex during the country’s political upheavals in the 1970s. The Cambodians want Ms. Ruspoli di Poggio Suasa's unwanted statue back, but the sellers and the US judiciary are dead against that. The US government tried to seize the object to return it in April 2012, but this was challenged by Sotheby's, questioning any evidence offered by Cambodia and the US government that the statue had been looted and asserting that Cambodian laws did not apply. In the case involving the Sotheby’s statue, on Thursday, Judge George B. Daniels cast doubt on whether the government could prevail in its effort to seize the work, based on the filings it has made. “This isn’t the strongest case of knowledge of stolen property and ownership by clear and unambiguous language,” Judge Daniels said. He said the government had “significant hurdles to overcome,” and that he would rule in 30 to 60 days on a motion by Sotheby’s lawyers to dismiss the case. One of the hurdles raised in the court case of the Ruspoli di Poggio Suasa statue is (as Sotheby’s lawyer, Peter G. Neiman, pointed out) is that Cambodia had never previously sought the return of the twin sheared-off statue in the Pasadena museum housing the Norton Simon collection. This has been on display since 1980, and although Cambodian authorities have long known it was there, they had not sought its return until now. The object had been purchased in September 1976 from the New York dealer William H. Wolff. Sotheby's lawyer cited a letter which he had obtained (presumably) from the Californian museum in which a Cambodian official asserted that the work “now belongs to the Norton Simon”, and on that basis demands the dismissal of the claims on the Ruspoli di Poggio Suasa statue (implying that there was no difference between a privately owned item coming onto the commercial market, and one already in a museum collection). Sarah Paul, a government lawyer, said Cambodia had not relinquished its claim on that statue. “We are investigating before filing a forfeiture complaint,” she said. A second prosecutor, Alexander Wilson, said the government was “continuing to look” into how the Norton Simon obtained the statue. Ralph Blumental, 'Cambodia Is Seeking 2nd Statue', New York Times September 28, 2012. US collectors justify their buying freshly "surfaced" (from "underground") items by a variety of arguments, including that the museums run by other ("source") countries are poorly-run. The frequency of this sort of argument trotted out every time brown-skinned guys ask for help preserving their country's heritage means that we should pay close attention to how well US institutions fare in the same regard. Today two news items indicate that the US has no reason to rest on its laurels. In the first the Barry Landau document theft case we read of the efforts of the University of Vermont Libraries to get their stolen stuff back. Now imagine that instead of the stolen scribblings of past Presidents of the USA it was a stolen mummy mask from an Egyptian museum storeroom that an institution was trying to get back from the US. several historical documents were returned to their rightful home in Bailey/Howe. Historian and collector Barry Landau gained access to and eventually stole from the library’s Special Collections last summer by promoting himself as an acclaimed presidential historian [...] “We recovered the documents that were used as evidence and were clearly identifiable as ours,” Marshall said. Because Special Collections does not have a catalog for every document in the collection, which holds over one million documents, there is no way to know if every single item was retrieved, he said. Ever since the documents have been stolen, Special Collections no longer allows book bags to be brought in and requires a form of identification before entering. Security cameras have also been installed, Marshall said. So, like most libraries of this kind have been doing the world over for decades? Bravo. Remember the lady who bought a Renoir painting at a West Virginia flea market two years ago for seven dollars? The painting was due to be sold on Saturday. 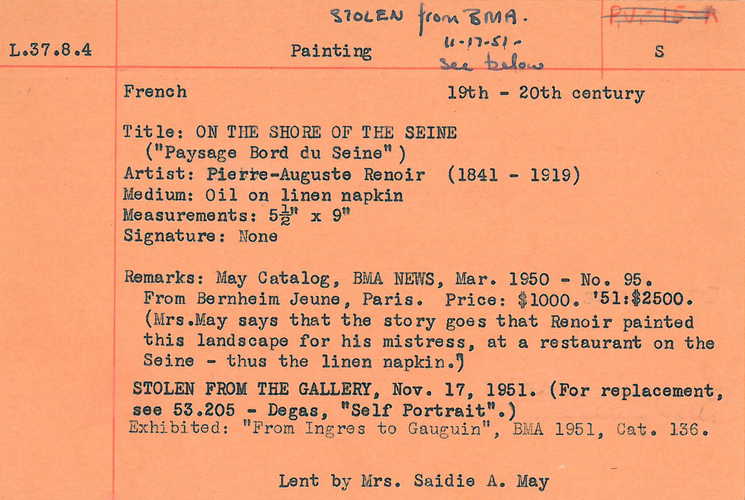 This undated handout image provided by the Baltimore Museum of Art (BMA) shows an orange card, the only record the museum has that a Renior painting was stolen from the BMA, Nov. 17, 1951. Officials at the BMA are combing through their paper records to learn more about a recorded theft of a Renoir painting from the museum in 1951 after seems to have turned up recently at a West Virginia flea market sale. While no police report has been uncovered yet, an expert on art thefts says the museum has a good case to reclaim the painting for its collection. The Egyptians have far more documentation of the movements of the Ka Nefer Nerer mummy mask but the US museum that bought it after it was stolen is hanging on to it, saying that it needs "more" - more than is required for an object to be returned to an institution within the USA. 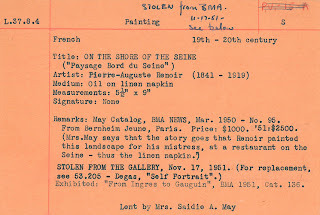 Brett Zonger (Associated Press), 'Baltimore police uncover 1951 theft report on stolen Renoir painting discovered at flea market', Greenfield Reporter September 28, 2012. I know I said I was not going to come back to this scrap of papyrus, but that was before I saw the "sneak preview" of the documentary film made about it which is due out the day after tomorrow. Here it is on YouTube getting the Hollywood treatment with the rousing score and the dramatic voice-overs and soundbites. The Smithsonian Channel no less. This is just pathetic. "I hear a lot of people on the internet saying it doesn't really matter, even if it's real, we know that the historical Jesus was not married. But the problem is it is very important whether this is a fake or not, because it comes down to the question of how we act as scholars, it comes down to the question of whether it is right to manipulate the media to create a lot of personal attention, to promote ourselves and our personal scholarship. There is a right way of doing things and a wrong way of doing things and in this case I think this has been hyped. I think that making deals with media outlets two weeks in advance was not the right thing to do". It comes down to whether scholars should get mixed up with artefacts that have "surfaced" (from underground) on the antiquities market. The AIA says no, but it seems the Smithsonian (once again) has other ideas. It turns out that the Smithsonian decided yesterday to postpone its documentary on the papyrus, and the Vatican has (uncharacteristically quickly) stepped into the controversy declaring it a fakes. The Vatican had remained quiet until L'Osservatore Romano editor-in-chief Gian Maria Vian published an editorial Friday that called it a fake, reported CNN. “Substantial reasons would lead us to conclude that the papyrus is actually a clumsy counterfeit,” he wrote. 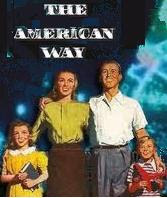 [...] The editorial also took aim at the American media, essentially stating that it blew the story out of proportion. The Smithsonian Channel planned to air a documentary on King’s findings, but have decided to shelve it for the time being. According to The Washington Post, it was supposed to air on Sunday, but has been delayed “until the text undergoes further tests,” a spokesman said.King’s analysis will be published in the January edition of Harvard Theological Review. 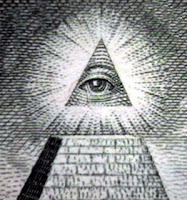 It seems however that January publication is dependent on whether testing of the ink and other aspects of the fragment are completed in time, and apparently "will include her responses to the vigorous and appropriate academic debate engendered by discovery of the fragment", according to a statement released Wednesday by the Harvard Divinity School. Daniel S Levine, 'Vatican newspaper says papyrus fragment with Jesus’s wife reference was a fake, Smithsonian delays documentary', TheCelebrityCafe.com. 28th Sept 2012. EHCrimeAdvisor (English Heritage) is "working in partnership to protect England's heritage from the impact of crime & anti-social behaviour". I do not know who this is, but I would say the guy doing their twittering spouting off PAS rhetoric without a thought is obviously a twit. Followers will find him or her rejoicing that another significant artefact has been dug up and is being flogged off. What is this that English Heritage thinks this is a "good example" of? Well, let us look at this story. In a field between Abbotsbury and Chickerell there was a man's grave. It had lain undisturbed for millennia, safely below plough level (it was 45cm down according to the newspaper reports in 2010). The man had been buried with piety some time in the early-to-mid first century BC in a crouched position and some of his possessions (glass beads, a mirror, a bronze amulet, a coin, tweezers and a two thistle brooches) were placed in the grave by his grieving relatives. There, they thought, they would remain. Sadly that was not to be. A treasure hunter, Carl Walmsley ("who has been using a metal detector for 25 years", came across the grave and despite the depth of the hole he was digging, decided to hoik out the finds from it. Carl, of Weymouth, said: “I wasn’t expecting to find anything like this. “I’d been metal detecting in that field before, but this time I had walked just 60 yards into the field when I found it. “I started off digging a small hole and dug down a little further. “Then all of a sudden a bronze amulet came out, then out popped some glass beads with parts of a mirror. I then came across a bone and that’s when I knew I’d found a grave.” Carl, a member of Weymouth Metal Detecting Club, called the police and reported the body. It was painstakingly removed by specialist officers and members of Bournemouth University’s archaeology department. ‘Skully’, as Carl has nick-named him, is now in the process of being cleaned up and researched by university archaeologists. Let it be noted, in reference to what the twitterer tweeted, that Mr Walmsley reported (as the law requires) the human remains, rather than the artefacts (also required by law), that is why the police were involved instead of just archaeologists. As "Skully's" possessions were seen as a "hoard of prehistoric metal objects", there was a Treasure inquest in August 2011. The objects were declared Treasure. The artefacts were valued at £23,000 in April 2012. Dorset County Museum is hoping to raise the money from public donations to buy the artefacts for its collection and prevent them from being taken overseas (it seems some journalists despite - or maybe because of - fifteen years of PAS "liaison" are talking of this find "raising £23,000 FOR the Museum"). The museum has until the end of the year to raise the money. The money would be split between the finder and the landowner. When the metal and glass objects are sold the human skeleton, ripped from the grave as a result of this artefact hunting, and which is currently at Bournemouth University "will be reunited with the other artefacts when they are sold". No doubt it is precisely what "Skully's" relatives would have wanted. Museum director Jon Murden said: "These rare and fascinating objects are significant because they tell us so much about power and wealth in Iron Age Dorset." “The thought of money hasn’t even crossed my mind. “For me, the excitement of finding old things means more to me than finding gold. It’s the find of my life,” Carl said. Condor Ferries cabin manager Carl said he would like the skeleton and the items to go on display in Dorset County Museum.“We’d like local people to be able to see it,” he added. So why are we not hearing that the good news is that this "unsung hero of the British archaeological heritage" immediately volunteered to forego his share of the reward money and was trying to persuade the landowner to do the same? Getting the objects for the County Museum for half price or (gasp...) donated would be somethng for English Heritage to Twitter about. Anything less is simply praising the take-take-take tekkies' anti-social activities. Joanna Davis, 'Treasure hunter unearths Iron Age grave in field near Weymouth', Dorset Echo, Thursday 8th July 2010. BBC News, 'Dorset's Iron Age Chesil Mirror to be sold', 27 September 2012 [The BBC's got it right the mirror is not Mr Walmsley's to sell, it belongs to the heritage of the people of the whole region, not any individual]. Can you just get a detector and then set off into any big fields or do you need permission from the farmers or landowners? People seem to be finding stuf every week. I might invest in one of these. A search of the PAS database reveals as many as 19 hits for "West Ilsley", a little place in Berks. The "heritage heroes" have been out there in force with their metal detectors it seems, indeed there was a "beginners dig" held there by 'Leisure Promotions' a while ago. The trouble is that the organizers announced that prior to this "we are going to be burying several hundreds of finds which will include Roman coins, hammered silver coins and masses of other coins and artefacts " (see here too). West Ilsley folks, the artificial archaeological site - and how many more have rally organizers seeding fields created, and (bearing in mind how important PAS attendance at rallies is considered for boosting record numbers) how many of those false findspots have got into the PAS record? To what extent are the PAS compiling at public expense a database full of false data caused by the constraints of being compiled in part in "partnership" with commercial organizations organizing artefact hunting rallies? The gang who broke into the Cambridge University Fitzwilliam Museum on April 13, and stole 18 irreplaceable Chinese jade artefacts and made off with them in a stolen car has been put behind bars for a total of more than 18 years. all jailed for six years after pleading guilty to conspiracy to burgle at a previous hearing. Marvin Simos, of Victoria Dock, London, who was 15 at the time of the raid, was given a four-month detention and training order. Sadly none of the stolen items has been recovered. Focus on UK Metal Detecting: How to Catch Nighthawks in Lincolnshire? Lincolnshire County Council's historic environment officer Sarah Grundy says "genuine metal detecting enthusiasts" (ie enthusiastic artefact hunters and collectors with genuine metal detectors) have "been very helpful" during surveys carried out on a Roman site at Marton, Lincolnshire so presumably she's not too worried about them spending their time when not working on her project plundering Lincolnshire's historic environment which she is paid (presumably) to protect for collectables to hoard away or sell on. However she is saddened by the fact that non-genuine and unenthusiastic artefact hunters and collectors have been visiting the Marton site too. At night and not with the landowners' permission. Now she is worried that this "illegal metal detecting may mean that the full story of the Roman occupation of the Marton site may never be known". But it's OK, "all the historical finds had been safely removed by the team when this incident took place". Police are investigating after illicit 'nighthawkers' gained access to the dig on Saturday, September 22. "There were definitely nighthawkers digging without permission and they made quite a mess, with holes all over the place,"
ms Grundy is quoted as saying. Not only were they not as "enthusiastic" and "genuine" as the other guys, but they did not fill their holes in. Probably they were disgruntled that they'd not found anything as the team working with the archaeologists had already "done the site over". Witnesses or anyone with information about illegal metal detecting can call the Lincolnshire Police non-emergency number on 101 or Crimestoppers anonymously on 0800 555111.
although it does not say how their readers are to determine whether two unshaven, overweight guys with metal detectors they spot on a Thursday afternoon in a field in camo gear are legal metal detectorists or illegal ones. Perhaps they will have to go by how "enthusiastic" and "genuine" they look. Or perhaps they ought to report anyone they see with a metal detector (surely witnesses who think a crime is being committed should be encouraged to use the EMERGENCY number) in order that by pulling them all in for questioning, the police will at last be able to catch a few more trespassing thieves disguised as so-called "genuine metal detecting enthusiasts". Vignette: Enthusiasts in Lincolnshire fields. Weißer als weiß: Matthew Bogdanos and Cyrus Vance to Blame? There are elements of my friend Peter Weiss' article that are clear and make sense, others not. As all of us know, however, it was a coerced product, ordered by the court and carefully vetted by selected individuals, some of whom have been acknowledged by Ute Wartenberg. A more germane question, and one that goes to the point of coercion -- and thus a catastrophic loss of the article's credibility -- is who else may have intervened in the article's wording and who may have cleared it for publication. Well, I wonder - given the author and the circumstances leading up to its writing - just how much "credibility" this article has anyway. An ancient coin dealer caught with dodgy stuff suddenly being converted to being as pure as the driven snow? I suppose miracles can happen. Houghton however thinks this article is not in the form in which it left Weiss's word processor. He further and names two people he is of the opinion "might" have exercised an editorial hand - Assistant District Attorney Matthew Bogdanos and Cyrus Vance. Could we have a little transparency please? Would Mr. Bogdanos come out of the shadows and simply tell us all, "I did it?" To address him directly, could you man up and let us know exactly what your role was in creating, framing and clearing Peter Weiss' article? Does Houghton think Bogdanos wrote the article to which Weiss appended his name? Why does he consider that somebody who already has over a hundred articles in peer-reviewed medical and other journals and several books to his name is incapable of penning one simple, short article on responsible coin collecting? It's not rocket science. Why would its author be Bogdanos? A dealer who'd just made several hundred thousand dollars profit from his "Cabinet W" sale could presumably easily hire an anonymous ghost writer to knock out the draft such a text for a few hundred dollars and could have done a more thorough job. I think he could find such a writer with great ease. No need for any US official to hold his hand. Anyway, I'd like to know what passages both conspiracy-theorists Tompa and Houghton think have been excised from the original text of Weiss? Maybe, instead of making up conspiracy theories, the CPRI in the interests of transparency can get hold of the original autograph manuscript of this article produced by their mutual friend Arnold-Peter Weiss with any handwritten alterations and publish it on their website? Far better though would be for the CPRI to set out on their webpage which elements of the proposals of Weiss are "clear and make sense", with an open discussion of what they consider does not - perhaps with comments from the author himself, rather like a forum piece. Then we will be able to see the CPRI position on responsible collecting more clearly than on the basis of what we have seen from them so far. Can they do that? "Could we have a little transparency please?" Landowners in the UK should take note of the recent development being discussed on a metal detecting blog. It would seem that as a result of the "burgeoning" partnership between PAS and artefact hunters and its reflection in the media (like the stupid "Britain's Secret Treasures" stunt), suggestions are being made that artefact hunting on certain productive sites should be subject to a licence. According to UK metal detectorist John Howland - 'Opening up the markets (sic)' - Stout Standards Sept 26, 2012) proposals are being made that access to certain land should be subject to purchase of a licence, "possibly for a fee of say £50. The fee will be easily recoverable from the sale of artefacts recovered (and duly recorded), or kept for museum display if of particular interest". So why cannot landowners cash in on the detectorists' willingness to pay to access land. Let them issue licences (with conditions) to those who request access to their fields, let us say 50 quid per detectorist, per ten hectares per year? Many of them will pay about half that to get access to a few fields at a weekend rally, so fifty pounds is not an excessive amount. Indeed, looking at the prices some of the finds made in landowners' fields go for, it would not be asking too much for a couple of hundred quid per detectorist per year for some of the areas producing such items in any quantity. Focus on UK Metal Detecting: PAS Fallout, Scrap the Scheduling System in the UK? approved amateurs (say, FID and NCMD members, authors, historians) with metal detectors, possibly for a fee of say £50. The fee will be easily recoverable from the sale of artefacts recovered (and duly recorded), or kept for museum display if of particular interest. [...] All finds made by ‘licensees’, so the thinking goes, would be recorded and collated by local FLO’s forming a database for each site. Not only could this harvest much-needed revenue for the hard pressed FLO system (so I’m told), but will increase the sale of finds bringing an even a wider selection of artefacts to the attention of collectors and numismatists. The Roman and Celtic markets in the US for example are huge money spinners for sellers and dealers alike [...] I am told that certain MP’s would be receptive, along with some archaeologists, and the notion might not fall upon stony ground. Well, I really think the names of those MPs and anti-preservation archaeologists should be published. Not so much for approving a loony idea, but apparently for being unaware that there is already something called Scheduled Monument Consent, where applications can be submitted for archaeological intervention on such sites, setting out the reasons, expected outcome and agreeing the disposal of the project archive (which will include the finds). I am not sure whether the Secretary of State will approve the idea of plundering some of these sites for saleable collectables, to be sold on the US market, but maybe the PAS can make a case for it. So how far do these people think a £50 licence fee will go towards PAS running costs? What happens to this source of funding when all the Scheduled sites have been 'hammered' too? Why not put a tax on all metal detecting? Why not, if we are not going to actually protect Scheduled sites from metal detectorists and harmful farming methods, simply de-schedule them? Following an in depth investigation the jug, which was valued at £750,000, was discovered at a property in Tadworth, Surrey, in the early hours of Monday morning. Two people were arrested at the location. One man, 23-year-old Ronald Nash, has been charged with handling stolen property and will appear at Luton Magistrates Court today. The second has been released on police bail pending further enquiries. The thieves who stole the object are still at large. Is this the same Mr Nash from Pitwood Green, Tadworth, Surrey? The men however were acquitted. US Coineys: Swastikas over the Department of State? In yet another illustration of the intellectual shallowness of artefact collectors and the ACCG lobby in particular, now Dealer Dave Welsh accuses preservationists of being "Fascists" ('Cultural Property Fascism', Sept 25th). I do not think much comment is needed. I noted earlier that there was almost complete silence from the coiney community (dealers in particular) about the outcome of the Weiss affair. I note now that there is one reaction in their blogs. The coiney Lobboblogger Peter Tompa warns: 'Reader Beware: Peter Weiss' Mea Culpa and Ancient Coin Collecting'(CPO Monday, September 24, 2012) urging that one must "acknowledge that the article was written under duress as part of a plea deal". This text however misses an opportunity to engage with the ideas Weiss included. Tompa presents the text as in some way written in conspiracy with and even edited by "archaeologists" who told the writer what to say. Frankly, the idea is ridiculous - if this text had come across the desk of any archaeologist with experience of marking student essays, due to what it omits, this would have got a "3-" and the writer told to go back and look at the question again, plan his essay more carefully and do more reading on the topic before putting pen to paper. But obviously Dr Weiss is unused to this kind of writing. In lieu of any proper discussion of the text, Peter Tompa pretends to be puzzled that the article "fails to mention some of the problems with the archaeological orthodoxy, including poor stewardship of coin finds by archaeologists and countries like Greece, Cyprus and Italy" which he would expect to find in an article on responsible coin collecting (really? that's like an article on responsible pet ownership going on about animal experimentation in pharmacological labs). The Lobboblogger also says that Weiss does not mention "that unprovenanced coins are widely collected in each of the countries for which the US has granted import restrictions". In reply to those two points, one might raise a third. Has Peter Tompa actually read Weiss's article? A fact "Cultural Property Observer" seems unobservantly to have missed is that both those points are indeed touched upon there, which make his pseudo-comments rather superfluous. The "Chasing Aphrodite" bloggers raise the point whether it is ignorance which is at the heart of the coiney problem. One might add is the problem more one of sheer illiteracy. The New York judge should have required the text to be produced in comic-book form for those whose concentration is struggling after the eighth sentence of a text. Also it seems Tompa has difficulty in understanding the notion that responsible collecting is not something that need only be applied only in the case of "purchasing very expensive ancient coins". I suspect he read little further than the title ("Caveat emptor...") and misconstrues what is meant to refer to the protection of the buyer rather than the finite and fragile archaeological resource from commercial depradations to fuel the no-questions-asked market. The destruction caused by digging up on an archaeological site a coin which Mr Tompa's dealer pals will sell for five dollars is of the same nature and order as the destruction caused if the coin later achieves in a sale a price tag tens of thousands times greater. A hole is a hole. A most disappointing reaction. When are US (and other) coineys going to get serious about responsibilities? What chance is there of the US really leading by example here, instead of epitomisng all that is at fault with this trade in its current form? I wrote to the Public Relations Officer of the FID on 18th September asking for further details, what period did the FID have in mind, and where this quote comes from. I also asked perfectly civilly for information on what basis this was figure reached. I asked whether the FID had been correctly quoted and whether it stood behind these figures as the number seems rather high for the UK. I am placing on record that so far there has been neither acknowledgement of receipt from the Public relations Office of the FID, let alone a reply to that enquiry. It would seem the FID is unwilling to discuss that figure still less back it up with any evidence. If the figure is a reliable one, it has some quite considerable significance (see here and here) for assessing the rate of "success" the PAS has been achieving in its fifteen years and fifteen million quid existence. Focus on Artefact Hunting: What has been "Rescued" and Where is it? I'd like to ask the PAS where the finds are from fifteen years ago, those brought in buy the first 100 metal detectorists to record with the PAS. Are all these people still alive and do the still have their finds collections? If not, where are these objects? If we ask the same question after another fifteen years, will we have a better answer? What is the point of people "rescuing history" if we cannot subsequently locate the objects they curated? My guess is that we already have tens of thousands of objects floating around somewhere loose (the ones that have not gone into landfill or been melted down for scrap) which though they've been through the PAS process we have no real idea where individual artefacts came from and where they ended up. Today, 24th September, is the fifteenth anniversary of the beginning of the of the PAS. I am sure they will be marking the occasion reminding everyone what they have "achieved", which seems to me largely to consist of fifteen years dodging the important questions that need to be asked about the wider significance of current British policies on artefact hunting and collecting. Fifteen years of presenting the public with a picture of the archaeological record as the plaything of Treasure hunters, and archaeology as nothing more than making up daft stories about 'things found'. This is a decent checklist for all antiquities collectors to obey. But what is perhaps most remarkable is that in 2012 this needs to be explained to coin collectors. One is left to wonder whether the problem with the market today is really ignorance of the laws or merely a stubborn unwillingness to obey them [...] Ultimately, the success of Weiss’ statement and the ANS’s new policy at changing the culture of American coin collectors will be measured by the time. If criminal cases continue to reveal collectors buying unprovenanced coins like those Weiss warned against, we’ll know that ignorance was never the problem with the market in ancient coins. Peter Tompa, the numismatist and lobbyist for coin collectors at Cultural Property Observer, has yet to mention the Weiss verdict — or the existence of the case at all. The Ancient Coin Collector’s Guild has not mentioned the verdict either. Paul Barford has a longer list of ancient coin-oriented websites with no mention of the verdict. Why? So now the case has resulted in some guidelines for responsible collecting, will the Ancient Coin Collectors' Guild be sharing them with their members and discussing them? What about the Portable Antiquities Scheme over in the UK? Wartenberg Kagan "Collecting Ancient Coins will be Different, but will not die out"
Dr Arnold-Peter Weiss’s text is preceded in the ANS Magazine by another text by Ute Wartenberg Kagan (‘An editorial comment on Caveat Emptor’, ANS magazine 2012, issue 3, pp 32-3). She stresses “the views and opinions expressed [..] are Dr Weiss’s and do not necessarily reflect the views or policies of the ANS”. She points out however that the ANS has recently revised its acquisition policy which goes beyond the guidelines offered by Dr Weiss. In her text, Wartenberg Kagan too focuses on the collecting (rather than dealing) aspects of the issue. She dismisses the alarmist claims of "members" (I bet they are all dealers or those who are led by them) that better ethics will lead to the demise of collecting. “Keeping provenances and the history of a coin available is crucial in this changing world of collecting […] Collecting ancient coins will be different, but will not die out”. She notes that Dr Weiss concentrates on the hoards to the exclusion of other types of coin deposit, “however the problem of looting within sites or across entire landscapes is arguably even worse […] by large scale metal detector operations. The information that we lose by such activities is very significant". It would seem that Weiss is unaware of the studies of such finds by German and British colleagues of precisely such finds which “have been among the most interesting numismatic works of recent years”. But “little if anything is left about the historical record when coins are just collected by metal detectorists and then appear as clumps of uncleaned coins on the market”. Without the proper excavation of groups of coins with proper attention to their associations and taphonomy “research will be stuck where it has been essentially for the last fifty years” (she cites the earliest electrum coinage which she herself is researching). And this is directly the fault of the no-questions-asked antiquities market. The reality is that we all have to do a better job of acting responsibility and with care going forward. We cannot change the past, but we can start on a new path of responsibility, careful research, and best practice to enhance numismatics and the responsible collecting and caring for ancient coinage and history. This effort should be a joint one among all interested parties and, in the end, will strengthen our knowledge base. Ultimately all serious collectors, dealers, and archaeologists share a common goal: they want to understand the ancient world and I would argue that we should not destroy one part in order to preserve the other. Hmm, whatever they say, dealers are mostly interested in making a profit out of other people’s desire to learn about the ancient world, but the last point is one some of us have been making insistently for a long time. So how many more arrests do we need before these sentiments become more than just fine words?